Women in history had few rights and it was their fate to comply with the wishes of men. But every now and then, it’s possible to find a woman who fought back. Some impressive examples are the Empress Matilda who fought for the throne of England, Jacqueline of Bavaria who fought for her patrimony, Isabelle of Angoulême and Margaret of Anjou. Elizabeth Stafford didn’t struggle in combat in any wars but she did fight back on a personal level. She was the daughter of a Duke and married to the premier nobleman in Tudor England and wasn’t about to give up any of her rights. 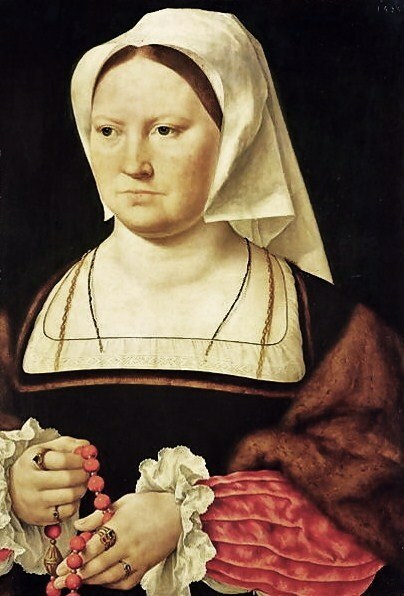 She also had the tenacity to challenge King Henry VIII in his divorce from Catherine of Aragon. Elizabeth was born c. 1497. She was the eldest daughter of Edward Stafford, 3rd Duke of Buckingham and Eleanor Percy, daughter of Henry Percy, 4th Earl of Northumberland. Through both of her parents she was a descendant of King Edward III of England. Elizabeth lived in her parent’s home until at least 1508. She is described as having soft features and a fair complexion. Her father made certain all his children had some education and we do know that Elizabeth was a patron and admirer of the poet John Skelton, attesting to her being literate. In 1509, Elizabeth was appointed a lady-in-waiting to King Henry VIII’s new Queen, Catherine of Aragon and came to court to live. She would serve Catherine for sixteen years, becoming her lifelong friend and holding the Queen in great affection and high esteem. Elizabeth carried Catherine’s daughter the Princess Mary to the font during her christening. The Duke of Buckingham had promised to marry Elizabeth to his ward, Ralph Neville, 4th Earl of Westmorland. Both Elizabeth and Ralph knew each other and were in love and devoted. They were to be married in December of 1512. The future Duke of Norfolk, Thomas Howard, who was then Earl of Surrey, had been married to Anne Plantagenet, daughter of King Edward IV. All of their children died young and Anne herself died in November of 1511. Howard was looking for another wife and approached the Duke of Buckingham. Buckingham tried to get Howard to marry one of his other daughters but he insisted on marrying the eldest daughter because this brought more wealth, power and prestige. Elizabeth’s dowry amounted to two thousand marks and she was promised an income of five hundred marks per annum although Howard never paid the jointure. The marriage to Ralph Neville was called off and she was married to Howard. Elizabeth was only fifteen and Howard was thirty-nine. Elizabeth continued to serve the Queen while Howard fulfilled his duties to the king and fought in wars. Elizabeth would have five children, two sons, Henry and Thomas and three daughters, Mary, Katherine and Muriel who died young. She divided her time between court and the family home. As Countess of Surrey she had local duties, visiting estates nearby, joining hunting parties and participating in pilgrimages. All this left her with little time to devote to her children. She and her husband were strict disciplinarians. In 1520, Thomas was appointed Lord Lieutenant of Ireland. In May of that year, the entire family, along with five hundred troops arrived in Dublin. Elizabeth would have a hard time adjusting in Ireland. The household had food shortages and dysentery was rampant. During the summer, plague arrived. Due to the food shortages and lack of lodging for his troops, Thomas housed his soldiers in the family home. Thomas wrote to Henry VIII’s chief minister Cardinal Thomas Wolsey, pleading for permission to send Elizabeth and the children into Wales or Lancashire to escape the plague. This was refused. On Friday, May 21, 1521, Elizabeth’s father, the Duke of Buckingham was executed for treason. Being the daughter of an attainted and treasonous father put Elizabeth in a precarious position. The Howards returned to England in late 1521 or early 1522. 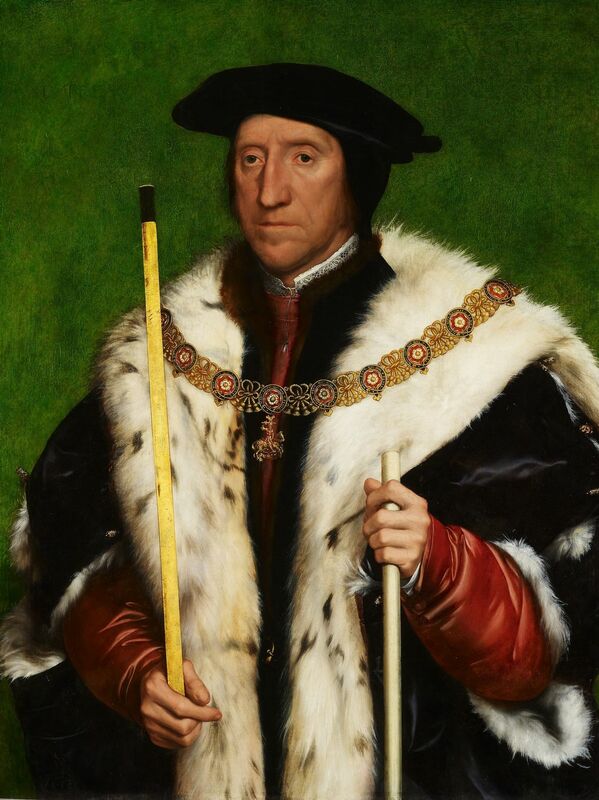 Thomas’ father died in May of 1524 so he was now the Duke of Norfolk and the premier nobleman of the realm. Elizabeth’s marriage at this point was solid. In 1526, Norfolk began to openly flaunt his mistress, Bess Holland, the daughter of the duke’s secretary and household treasurer. Norfolk showered her with clothes, jewelry and love which wasn’t unusual for an aristocratic male in the sixteenth century. What was out of character was Elizabeth’s reaction to the situation. Instead of accepting her husband’s mistress, she chose to fight. She called Bess Holland ‘a churl’s daughter’, the ‘washer of my nursery’, a ‘drab’, and a ‘harlot’. Despite this tension, Bess Holland was named a lady-in-waiting to the king’s new love and niece of the Duke, Anne Boleyn. In addition to the conflict in her married life, Elizabeth found herself caught up in the King’s effort to cast aside Catherine of Aragon to marry Anne Boleyn. Elizabeth would become an influential supporter of Queen Catherine in her struggle against the king. Elizabeth supported the Queen in principal because her husband openly supported Anne Boleyn. Anne Boleyn took precedence over the Duchess of Norfolk at the Christmas celebrations at Greenwich in 1529, humiliating Elizabeth. Beginning in 1530, Elizabeth would pass on information she gained from spying on her husband to Queen Catherine. Elizabeth sent the Queen secret communications from the papal emissary hidden in a scented orange. She would speak publicly in the Queen’s favor before Anne Boleyn. In the summer of 1531, Catherine of Aragon made her last appearance in public with the king. Afterwards, she was banished from court and her faction’s influence was greatly reduced. Elizabeth continued to explicitly impugn Anne Boleyn’s ancestry and wrangled with Anne over her interference in arranging marriages for her children. Anne had used her influence to arrange the marriage of Elizabeth’s eldest son Henry, Earl of Surrey to Frances de Vere, daughter of the Earl of Oxford who had no money. She had also persuaded King Henry to allow Elizabeth’s daughter Mary Howard to Henry’s illegitimate son Henry Fitzroy, Duke of Richmond. Anne warned her to stop tampering in affairs at court but Elizabeth brazenly continued to act as an intermediary between Katherine and the Imperial ambassador Chapuys. When Henry learned of this, he banished Elizabeth from court. After a period of exile, she returned to court and became even bolder in her resistance. On September 1, 1532, Elizabeth refused to attend the elevation of Anne Boleyn to the peerage as Marquess of Pembroke. The Duke had even ordered a crimson velvet robe for her to wear in the ceremony. Her daughter Mary appeared in her stead and carried Anne’s train. Elizabeth also refused to attend Anne’s coronation on June 1, 1533 and the christening of the Princess Elizabeth. She was now openly attacking and denouncing the relationship of her husband with Bess Holland. She was becoming an embarrassment to her husband and he resolved to separate from her. In 1529, Elizabeth’s brother Henry, Lord Stafford, had assisted her in reclaiming lands from her jointure. A few years later, as Elizabeth and Norfolk’s marriage became a public scandal, Stafford condemned Elizabeth for refusing to allow Norfolk to move his mistress into the primary home. Stafford was attempting to recover lands which had been forfeited by his attainted father and needed Norfolk’s help. Stafford was also mortified that Elizabeth was aggravating the king by not accepting his advice regarding her marriage. Stafford was frightened by Elizabeth’s ‘wild language’ which included disapproving of Henry VIII’s attempts to divorce Catherine of Aragon. Both Cromwell and Norfolk asked Stafford to take Elizabeth into his home in the spring of 1533 but he refused as he felt her presence there would put his family in jeopardy. In the spring of 1534, Norfolk came home from court where he had suffered some political setbacks only to find Elizabeth in a rage over his relationship with Bess Holland. Norfolk locked her up in her chamber and took away all her jewels and apparel. It was about this time that Bess Holland was installed as the Duke’s official mistress and moved into some recently remodeled rooms in the Howard family home of Kenninghall. Elizabeth was expelled to the manor of Redbourne in Hertfordshire which was a residence that Norfolk rented from the Crown. Her activities here were highly curtailed. She had twenty servants and £200 to live on. She found these conditions unbearable as she was the daughter of a duke. She was not allowed out to visit friends and no one was allowed to visit her. She would spend the next ten years here. She sent a series of letters to Thomas Cromwell accusing Norfolk of physical abuse. She says on four occasions, Norfolk had her women bind her till blood came out of her fingers’ ends, pinnacled her and sat on her chest until she spat blood. She also accused him of assaulting her and dragging her from her bed after she gave birth to her daughter Mary. She was worried she would be poisoned if she returned home because of her husband’s love for his mistress. In a letter to Cromwell, in answer to his wife’s accusations, the Duke threatened to beat her. She tried twice to reconcile with her husband. And twice he refused. In 1535, she managed to get away and rode to Dunstable where the king was visiting. The king was not in favor of her behavior. He advised her to write a ‘gentle’ letter to her husband which she did but Norfolk answers were threatening. After this she vowed never to plead her case again with the king or anyone else. Norfolk begged her for a divorce on numerous occasions, promising to return to her all her jewels and clothes and to give her some of his own plate. She staunchly refused. Whether or not these accusations of physical abuse had merit, the law was on Norfolk’s side. And Tudor society would have found Elizabeth’s behavior very strange to say the least. Her children even sided with their father. Relations between Elizabeth and her brother eventually improved. Indeed, Stafford sent his daughter Susan to live with Elizabeth and later asked her to take another daughter under her wing. She requested his daughter Dorothy as she knew her well. In the last years of King Henry VIII’s reign, Edward Seymour, 1st Earl of Hertford and Queen Katherine Parr gained influence. They were in favor of the reformed religion and the more conservative and Catholic Duke of Norfolk would fall from favor. In addition, the Duke’s eldest son Henry ran afoul of the king. Both were arrested for treason and Elizabeth testified against her husband regarding her physical abuse. Henry Howard, Earl of Surrey was executed on January 19, 1547. The Duke was attainted by statute without trial and King Henry approved his death by execution on January 27. However, King Henry died on January 28 and the Council decided not to begin the reign of King Edward VI with bloodshed. The Duke remained in prison until the accession of Queen Mary Tudor in 1553. Mary pardoned the aged Duke and released him from the Tower. Elizabeth witnessed his release along with her daughter Mary. Norfolk regained his dukedom and died at Kenninghall on August 25, 1554 and was buried in the Howard family mausoleum in St. Michael’s Church at Framlingham in Suffolk. Elizabeth was not named in his will. A mother, sister, a friend most dear. A very notable woman during Tudor times. I’ve always wanted to know more about her and appreciate this article you wrote. She was a woman of high morals and never kept quiet when she knew she was right. I am very impressed to read how she “stuck up” for Catherine of Aragon also during her difficult times. Such a detailed and well-written account of Elizabeth. Thank you. I love reading about women such as Elizabeth. It teaches me that even though times were different women were very much the same as we are today! Her husband had very few (if any) redeeming features. Her life and personality prob wd have bn totally different had she married the man she loved initially. It looks as if she had bouts of some kind of madness. Either that or she was entirely unaware of Henry’s character. It might have been better for the poor woman if she had been allowed to marry Neville. Thank you, thank you and thank you yet again, a thousand times. This was a great and brave and powerful woman. Elizabeth Stafford, Duchess of Norfolk needs to be remembered. To have rebelled in such a fashion against King and husband in such an age where women had no power was seriously impressive. One needs to look up to this woman for she is an inspiration for all the ages. The youth need to know Elizabeth Stafford, Duchess of Norfolk. What a life! Elizabeth was brave, but I have to wonder if she was completely rational all the time. It seems like she was fortunate to have survived tangling with Henry VIII, especially in defense of Catherine. I’m sure I would have just kept my head down in hopes of keeping it on my shoulders.